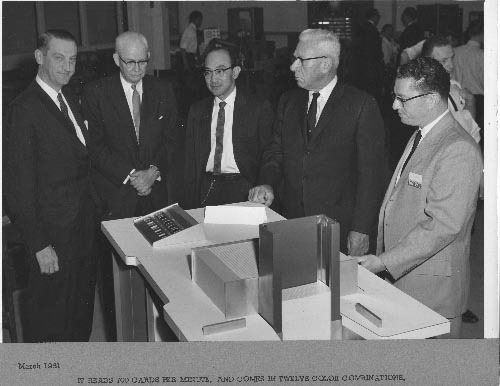 B&W image of five men standing in front of a card reader. J. Chu is in center. Recto bottom: " It reads 7800 cards a minute and comes in .12 color combinations"